COME next month, it will cost $60 for groups of up to 15 people to engage a tour guide to see Chek Jawa Wetlands' shoreline at close range. So far, volunteers appointed by the National Parks Board (NParks) have played 'eco-guides' for free, extolling the mudflats' wonders. 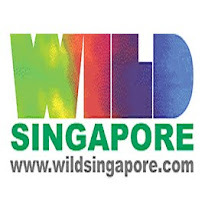 NParks director of conservation Wong Tuan Wah told The Straits Times the new charge is nominal. 'It goes to the guides to help them pay their transport costs, recovers the administrative cost of organising the tours and helps control access to the area,' he said. Mr Wong said the guided walks on the wetland shore - in Pulau Ubin - started in 2002 as an interim measure. Having guides keeps visitors from unintentionally trampling over small animals and growing plants. Since then, NParks has spent $7 million on amenities to reduce the human impact on the shore, he added. 'It's our plan for sustainable management, to allow more people to appreciate the area they fought to save, without damaging it in the process,' Mr Wong said. Chek Jawa Wetlands made news in 2001, when there was a strong petition urging the Government not to carry out reclamation work in the area. Nature lovers spoke up for the area's unique ecosystem. There are at least six habitats in Chek Jawa, including a rocky shore and seagrass lagoon, bounded by sandbars. Mangroves and coastal forests fringe the shoreline too. At present, guides are given $14 by NParks to cover transport costs, and for their time. Mr Wong said the new charge is for the one-hour guided tour, which is conducted only at low tide when much marine life is exposed. All other amenities are free. 'There are educational signs and visitors can conduct their own 'do-it-yourself' tour on the boardwalk using a brochure, any day of the week, from 8.30am to 6pm,' he said. The new charge also seeks to avert 'no-shows'. The head of the Green Volunteers Network of the Singapore Environment Council, Mr Grant Pereira, who conducts free tours once a month on other parts of the island, says last-minute cancellations are common. 'When tours are free, it is very common for people to cancel at the last minute, but there should be waivers for certain groups, like the underprivileged,' he said. NParks said registered welfare organisations can request waivers by writing in. About 20,000 people visit Chek Jawa annually.